Interested in Preventive Maintenance with Miami Mechanical Contractors? Right now, you can get a free maintenance visit with a one year contract! 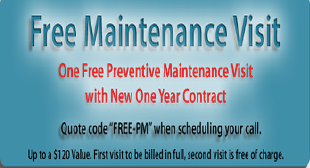 Simply quote “Free-PM” when you call for your first preventive maintenance consultation. Once our maintenance program is under way, your next visit will be on the house. Valid only with a signed maintenance plan.